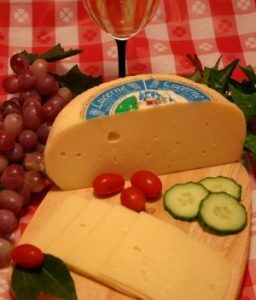 You are probably quite familiar with being offered a grating of parmesan over your pasta or pizza, but today we thought we would tell you a little more about this very popular cheese. Read on to find out everything you might want to know! 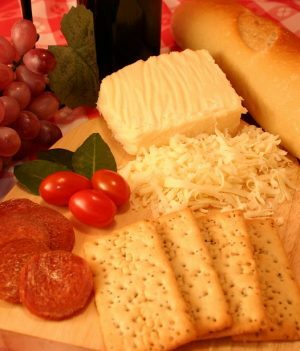 Parmesan Cheese is a hard, dry cheese, which has a complex, sharp, nutty flavor and a somewhat grainy texture. 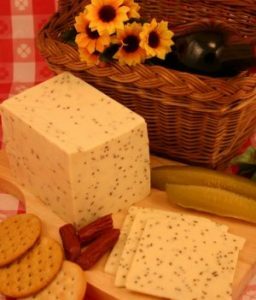 It is made from unpasteurized cow’s milk. Starter whey, containing thermophilic lactic acid bacteria, and rennet is added to separate the curds. These are then compacted and placed into molds. The wheels are placed into brine baths for up to 25 days where they absorb the salt. 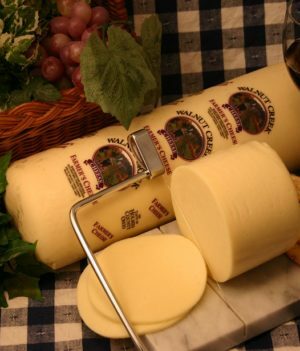 After brining, each cheese is aged for 12 months. Parmigiano Reggiano cheese gets its name from the Italian regions of production: Parma, Reggio Emilia, Modena, Bologna, and Mantova. It originated in the Middle Ages, at least 700 years ago. It was first made by monks in Reggio Emilia, with production spreading to the Parma and Modena regions. With the exception of new production equipment and technology, the basic process to make the cheese has changed very little in the hundreds of years since. 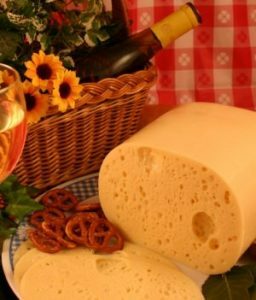 A Parmesan Consortium was created in 1934 which regulates the production of authentic Parmesan Cheese and inspects all of the cheese produced by nearly 800 cheese producers. Parmigiano Reggiano is a Protected Designation of Origin (PDO) cheese in the European Union, which legally requires the cheese to be produced in certain regions of northern Italy in order to be labeled as Parmigiano Reggiano. Outside of Europe, the phrase “Parmesan Cheese” may be used to refer to any hard grating cheese. As you know, Parmesan Cheese is wonderful grated. It is ideal for adding flavor to pasta or risotto It can be sprinkled into soup, shredded over a green salad, mixed into in pesto or Alfredo sauce, or served with meats such as veal and chicken. 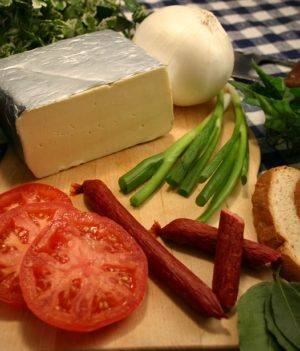 Chunks of the rind may also be simmered into soups or sauces to add flavor. Try this the next time you make a marinara sauce or a minestrone soup and you’re sure to be surprised by the difference it makes. 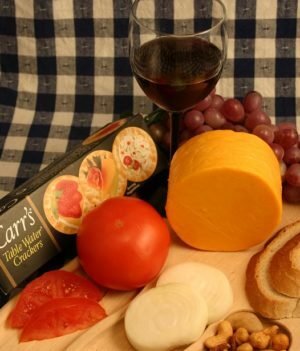 The rinds can also be roasted as an unusual cheesy snack. 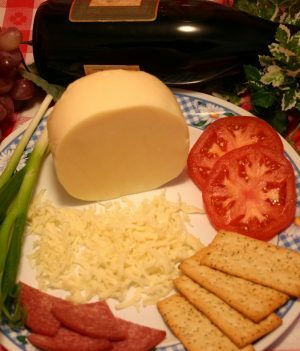 You can even try Parmesan Cheese on its own as a table cheese and you will discover that it is rich and full of flavor. Try it cut into chunks and drizzled with thick balsamic vinegar for a really special treat. What should I drink with it? 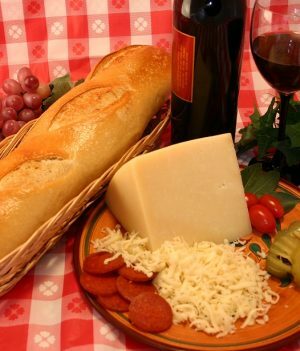 Parmesan is an ideal cheese for enjoying with a glass of red wine because it has a strong flavor and dry texture. We would particularly recommend it with Sangiovese, Syrah or Merlot. An Italian wine is nearly always a good choice to pair with Italian cheese. You will also find it in our Scotch Collection, as the salty cheese stands up well next to the smokey flavors of whisky. 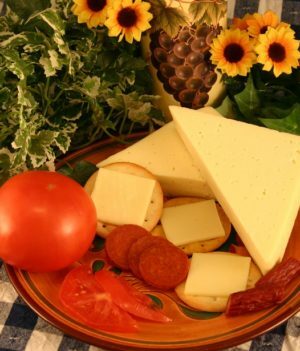 How do you like to eat Parmesan? Let us know in the comments below!